Keep track of important events, mark special occasions and make it a year of photo memories! Photo calendars make timeless and practical gifts as well as an essential item for everyone. 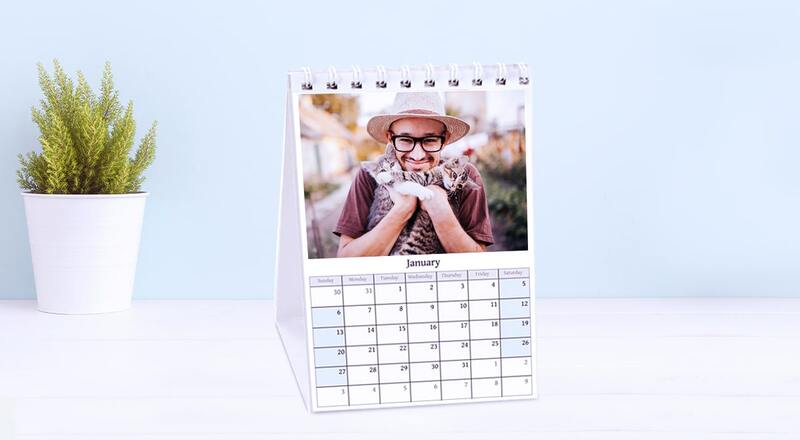 Our range of photo calendars are the perfect reminder of special events throughout the year such as birthdays, school trips, anniversaries, weddings, so you never miss out on all the fun. You can create different layouts, add prompts in key dates and choose from various styles and sizes. We print your calendars on the best materials to ensure quality results for you. You can create your calendar on your computer or even your phone! If your friends need a bit of a prompt about your birthday just place your photo on your birthday month and make a note under the date so they don’t forget to buy you a lovely pressie. 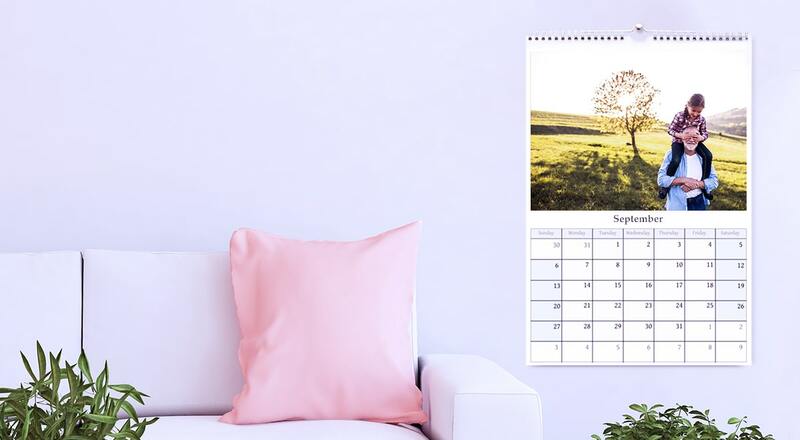 You can choose from a simple one page calendar, or have a photo each month and you can start your calendar from any month. Have you had any new additions to your family this year? If so, why not create your very own baby calendar with photos to show how they are growing. Maybe you or a friend got married this year - what better way to share the joy than to create a calendar full of wedding memories.